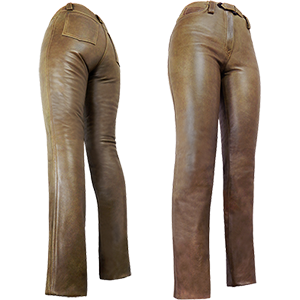 Uber-flattering, super-stylish ladies brown leather jeans that have so much more to offer than making you look great. Our leathers are painstakingly designed to help you ride safe. 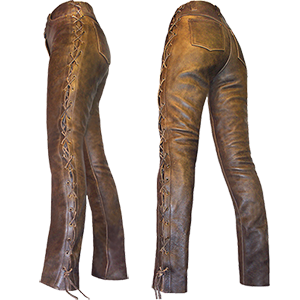 Just one style in our collection of top quality womens and mens leather jeans with unique one piece front and back legs. - We are proud to be one of the only producers of finest quality antique brown leathers for women and men.